Fast-Foaming Action that Starts Working on Contact. 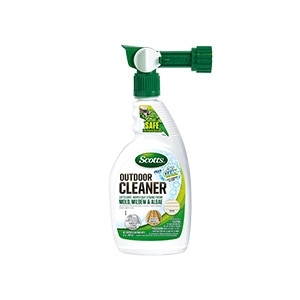 Lifts Dirt and Wipes out Stains from Moss, Mold, mildew and algae and more. Safe to Use Around Lawns and Plants. Cleans Concrete, Wood, Siding, Patio Furniture and More.